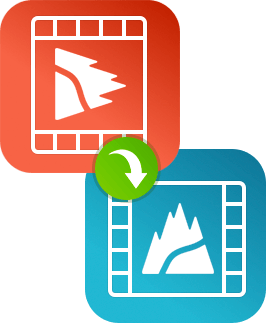 Looking for video rotation software? When you record video on a phone or a compact camera, sometimes you find out (after the fact) that you held it the wrong way, so the video is recorded as vertically oriented instead of horizontal and you can’t view it properly. If you want to keep this footage, the only way to improve it is to rotate the entire movie (or the part of it that was shot wrongly). 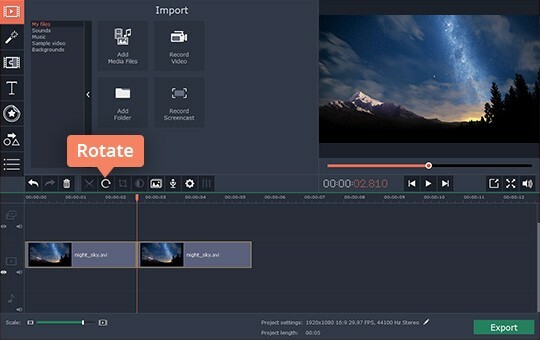 Movavi Video Editor can rotate video files in almost any video format including MOV, MP4 (MPEG-4), AVI, 3GP, WMV, MPEG, FLV, HD video, and many more. 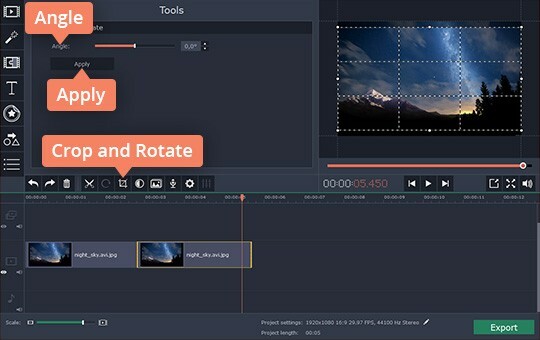 Download this software and learn how to rotate your video in any direction: you can go 90 of 180 degrees clockwise or anticlockwise – whatever you need to correct the orientation. 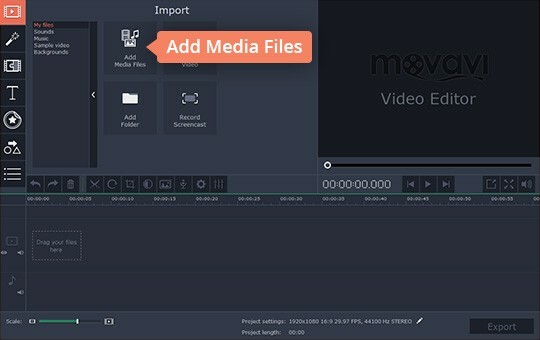 Download the program file and install Movavi Video Editor on your PC or Mac following the installation instructions. Open the program and choose Create project in full feature mode. Click Add Media Files to add the video that need to be rotated. The files you’ve uploaded will be added on the Timeline board at the bottom of the program window. 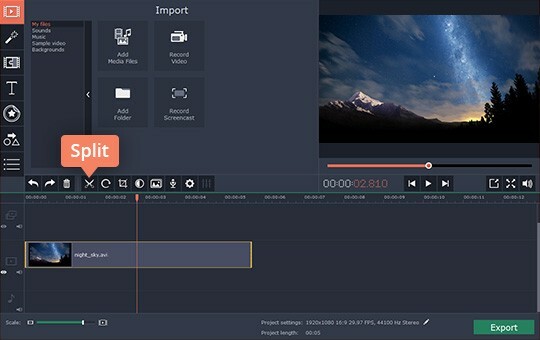 If you only need to rotate part of your movie, place the red marker on the beginning of a wrongly-shot scene, select the video on the Timeline and click the Split button. Then move the red marker to the end of the scene, and repeat this again. There are two ways you can rotate your video. To rotate a clip by 90 degrees clockwise, select it on the Timeline and press the Rotate button as many times as you need. If you want to rotate a video by an arbitrary angle, click the Crop and Rotate button and move the Angle slider until you achieve the desired result. You can also enter the rotation angle value in the field to the right of the slider. When you’re ready, click Apply. Click Export and select one of the saving options from the tabs in the left part of the pop-up window. 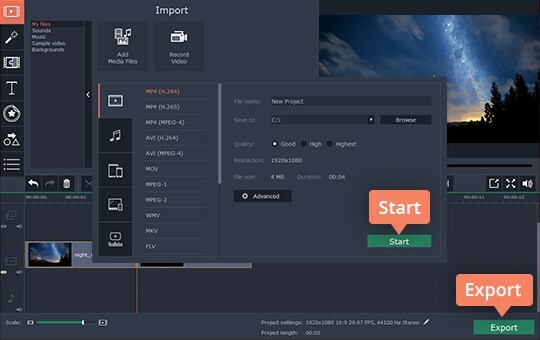 To export the video click Start. And that’s all there is to it! 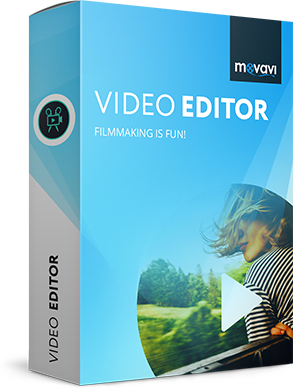 With Movavi Video Editor, you can fix any video that was accidentally shot in the wrong orientation in just a few minutes. А versatile and powerful media converter that lets you enjoy your videos, photos and music in the format of your choice on any device; plus, it's extremely easy to use.